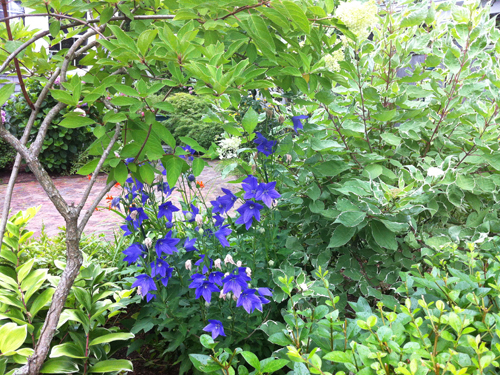 I'm just back from the Blueprint Retreat hosted by Shanna Skidmore at the Grove Park Inn in Asheville, NC. The idea behind this retreat is a time to get away from your business in order to make strategic plans for your business. Shanna specializes in working with women business owners in the creative industries. In true Shanna fashion, she brings her own creativity to light as she incorporates special touches and special people in making a truly one-of-a-kind experience. The first night we were welcomed with a dinner experience beautifully designed by Abany Bauer and the next morning with an equally as stunning "classroom" incorporating vintage pieces curated by Blue Eyed Yonder. After spending time reflecting on our own personal stories and clarifying our message, we wrote goals—both personal and professional—to guide us through the coming year. A quote that resonated with me was this—"In all the chatter and noise, we fall out of love with our own voice." (Michael Hyatt) If I'm honest, spending time on Pinterest and Instagram can lead to comparisons that are not always helpful. 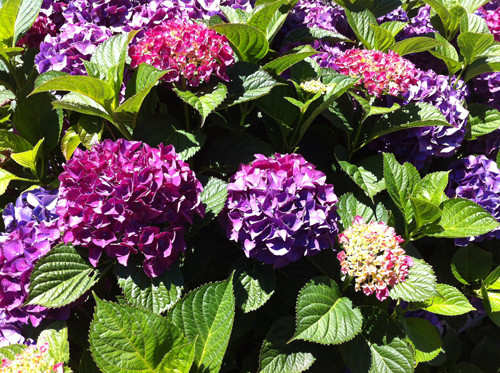 I hope to spend the next year taking time to find and develop my own "voice". Meanwhile, Instagram has become a great avenue for developing relationships with others in our industry—many of whom were a part of Blueprint. Many thanks to Shanna and her fabulous team—Abany Bauer, Amy Osaba, Heather Payne, Jess Garner, Krista Janos, Lindsey McClennahan and Tessia Treynet—for sharing your gifts and to these ladies for sharing their dreams. And then there was plenty of takeaway of a different sort. A sampling of the incredible swag along with an original painting by Hillary Butler. 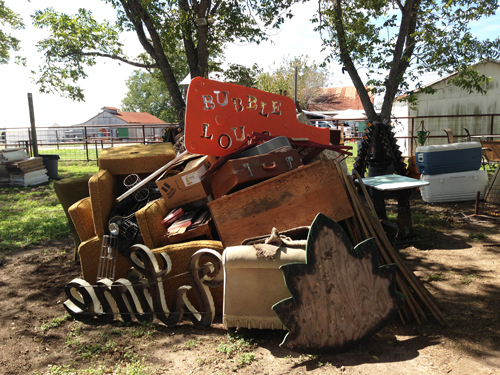 I'm back from rummaging around the fields of Antiques Week in Round Top, Texas. 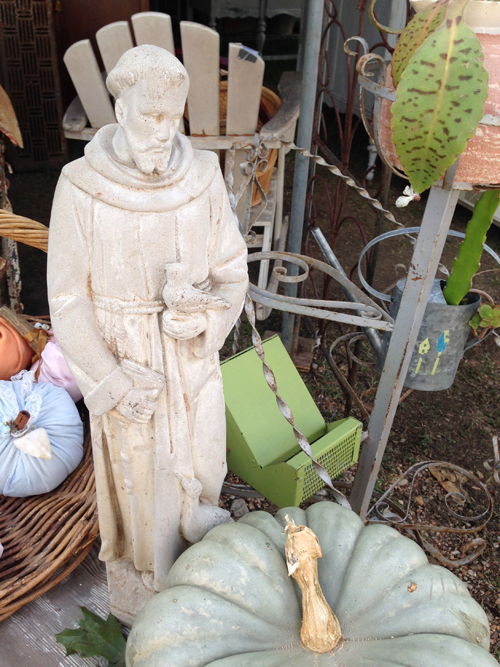 While the highlights this time were actually the people, there were vintage treasures to be had as well. Ingredients for the yet to be assembled Bubble Lounge—a popular evening drinks spot. 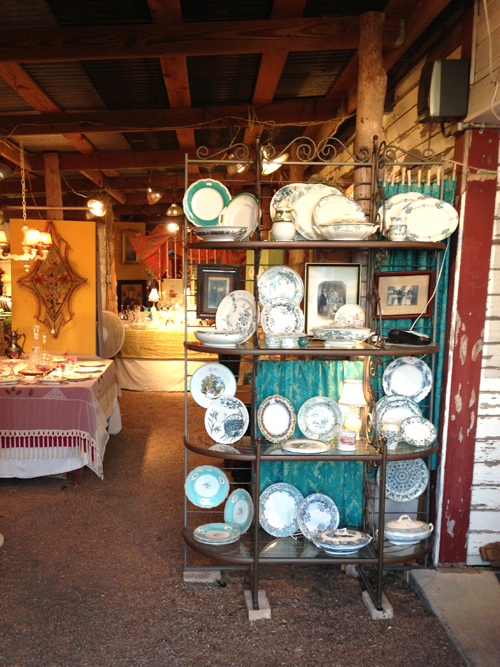 My favorite at Marburger, House Wren, never disappoints with their mix of vintage and organic materials. This time the central feature was a vintage pickup truck—sold! 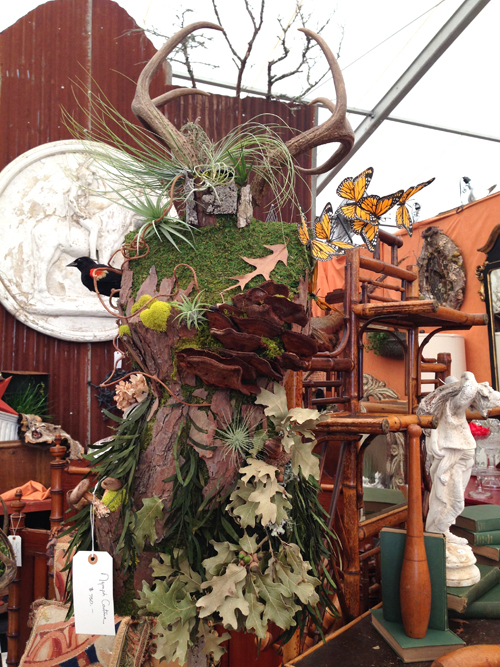 Also at Marburger, Polly Hitt outdid herself with her organic sculpture, Nymph Couture. 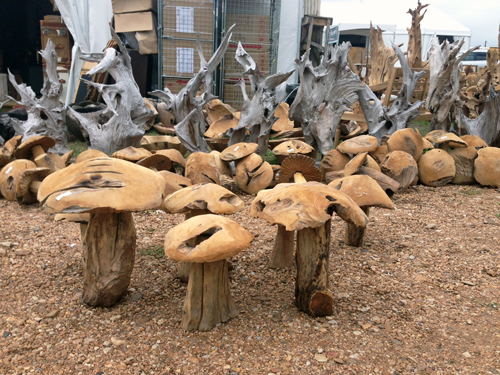 Although not vintage, these teak mushrooms were my favorite purchase and are now available in the shop in three sizes—great garden decor. 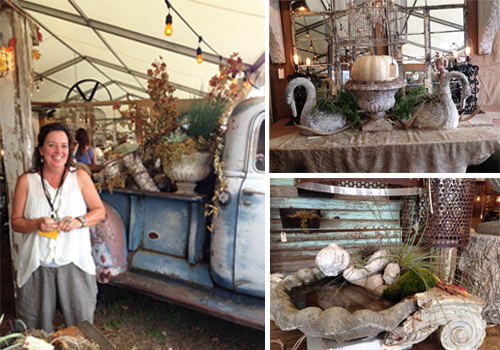 Another treat was visiting Rachel Ashwell's The Prairie. 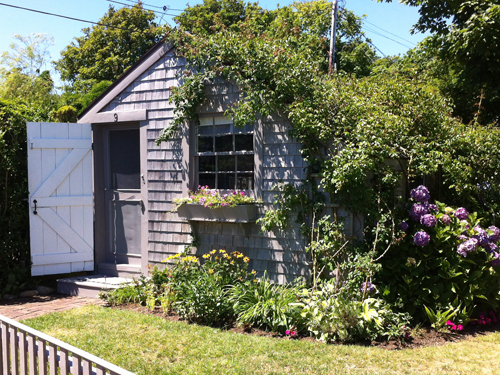 Her retail shop was temporarily moved to The Pearl Barn which also serves as a beautiful venue for weddings. Imagine the barn doors thrown open with the Texas prairie as a backdrop—count me in! Last week was the New York gift market so in an effort to find some new treasures for the shop and have a bit of fun in the city, we made it a family girls' getaway. 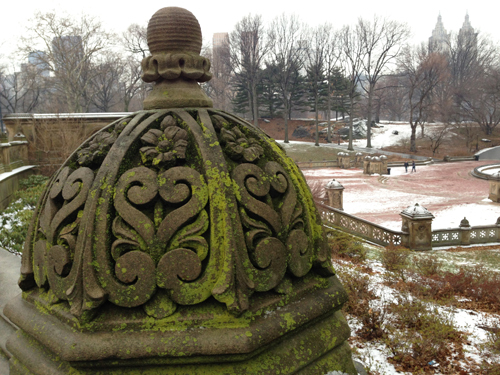 With interesting sights around every corner, here are a few of my favorites. 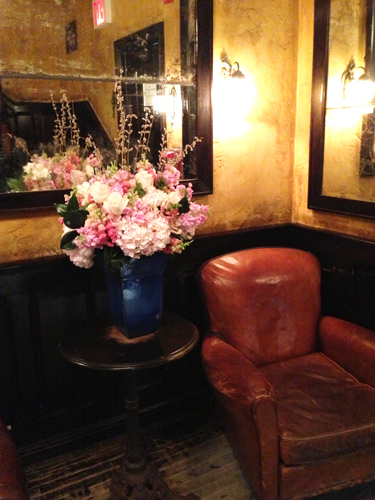 First off, flowers by the bathrooms in Balthazar. 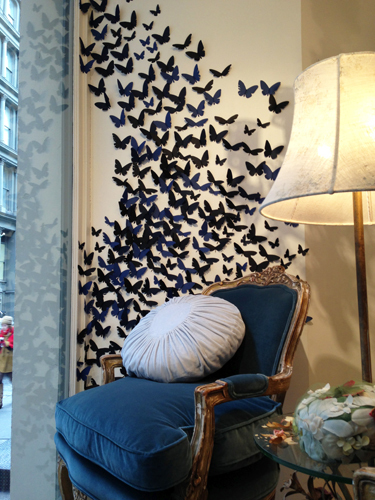 Fabulous window display at Rachel Ashwell's Shabby Chic. 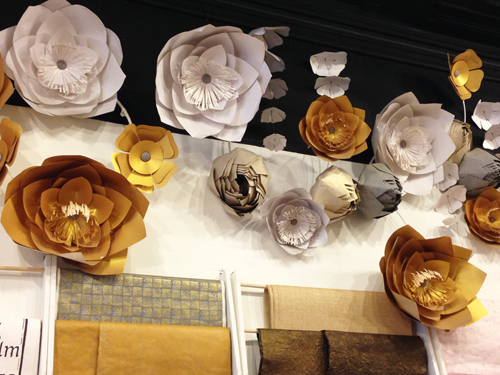 Paper flowers at Kate's Paperie. 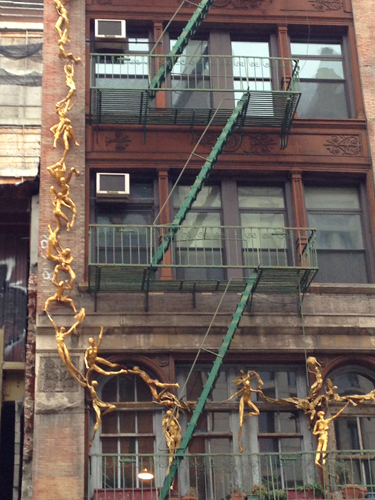 Interesting art installation on a building in Soho. 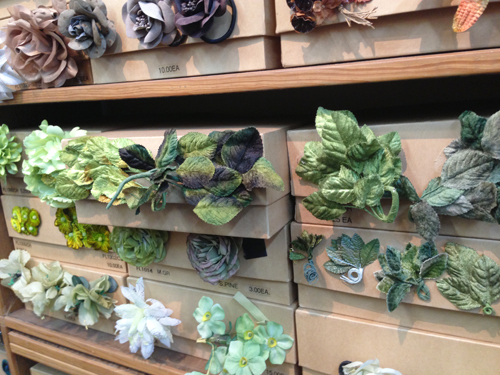 Vintage millinery pieces at Tinsel Trading Co.
And, of course, no trip to a large city is complete without visiting the flower district. 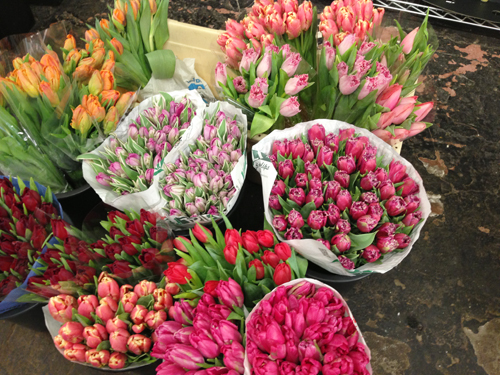 Tulips from Dutch Flower Line. 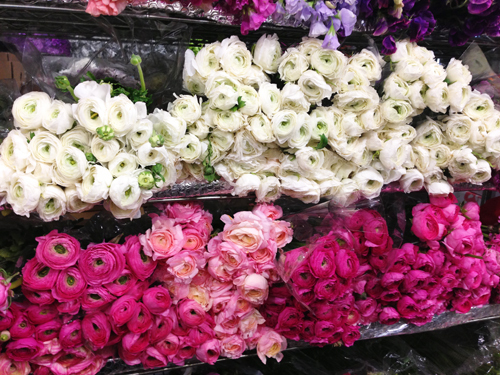 Sweet peas and ranunculus to die for from G. Page. And did I mention it was a bit nippy? 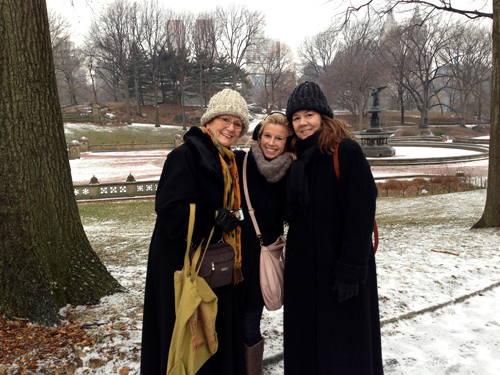 My mother and niece, Gresham, braving the cold with me in Central Park. This post is a bit out of order as it took place before I did the shop makeover—although it is most likely the reason I was up for it. 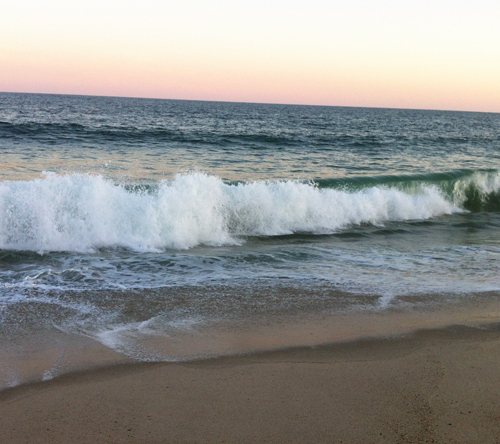 Earlier this month I was treated to a week in Nantucket along with the girls in my family and was reminded of how important and invigorating vacations can be. 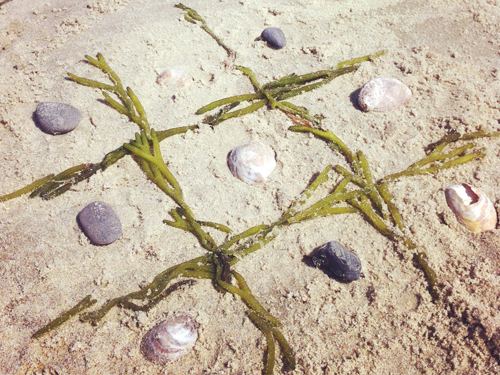 Lazy days away from the heat of Texas where we actually wore sweatshirts most mornings and afternoons spent collecting shells along the beach were nothing short of magical. 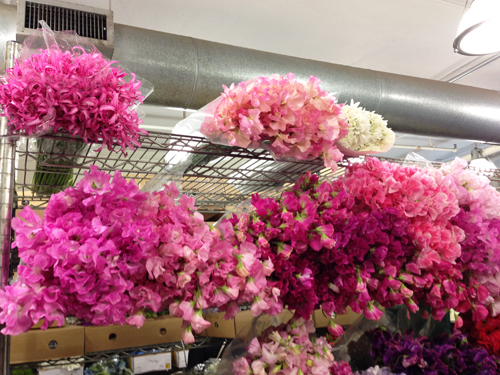 If you've been to Nantucket, you know the flowers that grow in the gardens rival what is seen at the best floral shops. 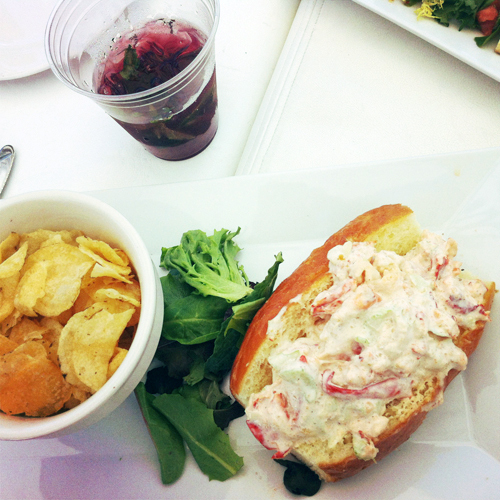 And the meal I will dream of for months to come—lobster roll at the Summer House in Siasconset accompanied by a blueberry mojito made with locally distilled Triple 8 vodka.